Shabby chic style of rooms are designed with monochromatic color and gives an opulent effect. This style can be preferred if you like calming and cool environment. The room is designed to have an modern look as well as with ancient style features. It is decorated with fabric textiles, floral swags, paintings, chandeliers, cherubs and patterned art. The design creates a warming environment and cherishes your mind when you get into the room. The master bedroom of shabby chic style is designed with soft and rich with antique materials. The furniture used in this style is old fashioned and is made of wood, panelling on walls which looks modish. 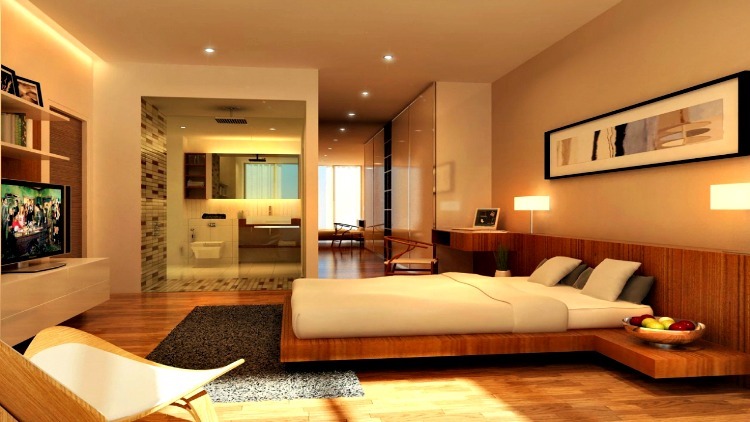 In the view of the image you can see a shabby chic style of master bedroom which looks amazing. After viewing the image you will definitely get an interest in this shabby chic style. This room interior is decorated with monochromatic color which creates a cheerful atmosphere. The false ceiling is drop out ceiling which has a suspension under the structured ceiling. The flooring is made of ceramic textured tiles and has a snowy white saxony carpet on it. The room has a modern bed with quilt, cushions and it has a leather bench for seating. The room is decorated with the wall cladding and has ceiling lights to it. This image views a shabby chic style master bedroom. The interior is decorated with closets decorated with flower pots and photo frames and the false ceiling is dry wall ceiling with simple light fixtures. The flooring is made of glossy ceramic tiles and it has orbed glass tables with wooden legs on which lamps of ceramic droplet are placed. The room has a bed with tufted head board and has designed coverlet and cushions. It has casement windows and can be covered with the tab top draperies. The interior is decorated with asparagus color wall paper. 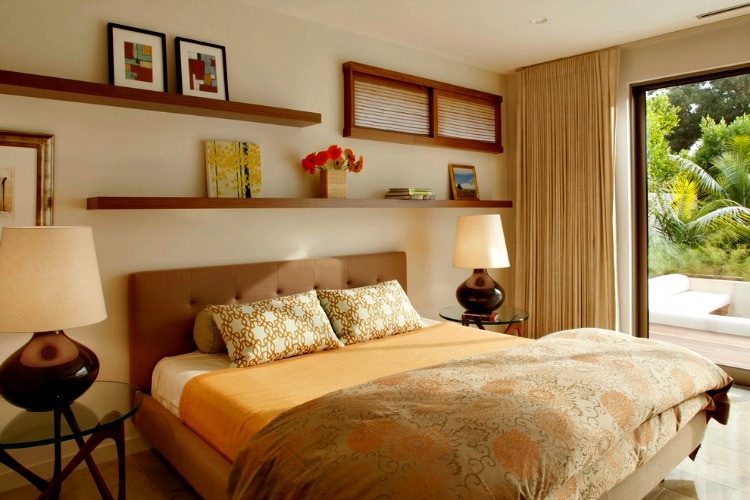 The false ceiling is a dry wall ceiling and this a simple and inexpensive shabby chic style of master bedroom. The flooring is completely covered with a saxony plush carpet which gives a solace feeling when we walk on it. The room has a floor lamp and a ceiling fan is attached to the roof. The interior has a night stand with glass droplet lamps and has chair with a cushion for seating. It has chest of drawers to store accessories and the wall has a mirror which reflects the nature of room. The walls are decorated with the paintings. In the view of the image you can see a master bedroom of shabby chic style and the false ceiling is dry wall ceiling. The flooring is made of plain vinyl flooring and has been covered with carpet. The room has chair for seating and has night stand with the lamps. The interior is decorated with the flower pots and has photo frames mounted on the wall. 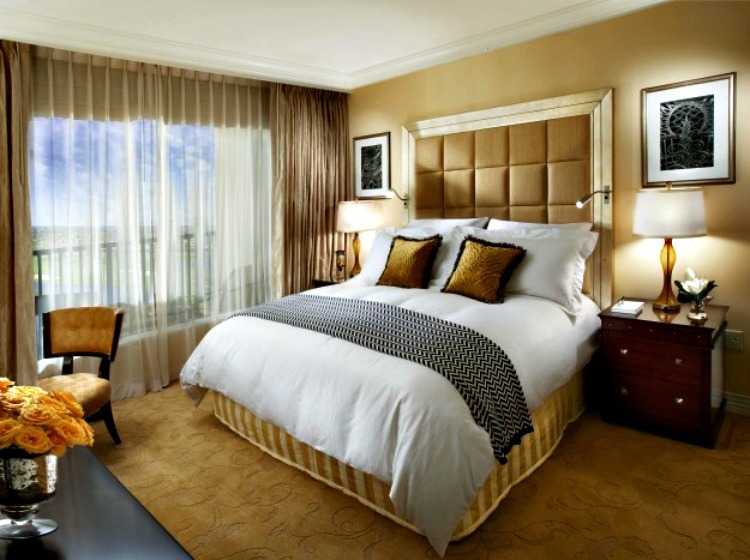 The room has casement windows which are covered with sheer draperies and are delicate made of sheer fabric. The interior has a bed with tufted headboard and has quilt and cushions on it. The interior is decorated with olive green textures and gives a natural look. The false ceiling is dry wall ceiling with a chandelier attached to the roof and flooring is completely covered with a plush throw rug. The room has a chairs with pillows for seating and has a wooden table with flower pots. It also has night stand with lamps and books. The room has a bed with long headboard with a coverlet and cushions. It has two stools for seatings and has double hung windows and covered with tab top two finger pleated curtains. The interior is decorated with wall cladding behind the headboard. The false ceiling of the interior is decorated with poly vinyl chloride panelling with a glossy look and has simple light fixtures attached to it. The ceiling fan is attached to the roof and the walls of the interior has panelling with wall papers. It also has lights for illuminating the room. The room has casement windows from where we can view the outdoor garden and balcony which has a dining table. The flooring is decorated with the striped carpet and the windows are covered with two finger curtains. There are comfy knitted sofas and has a coffee table for serving. The room has a chaise and night stand with lamps. This image is a master bedroom of shabby chic style which has an antique look. The false ceiling is a dry wall ceiling with a paper lamp lantern attached to the roof. The room has a simple bed with a quilt and knitted pillows. The room has wardrobes made of wood and wires for storing books and necessary accessories. The room has a table with a antique model lamp on it. The room has white framed windows covered with two finger pleated curtains and has a plush carpet laid on the floor. The room has floral painting which is beautiful. 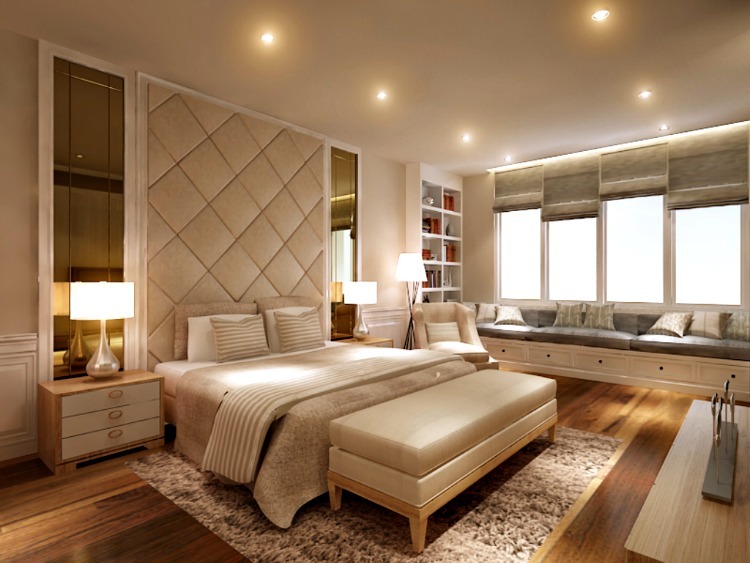 This image is a shabby chic style of modern master bedroom. The room is decorated with dark beige which gives a luxurious look and the false ceiling is dry wall ceiling with hidden lights and simple light fixtures. The interior has wooden cladding and has panelling on which television is placed and on the closets photo frames and books are stored. The flooring is made of laminated hard wood with a saxony grey carpet and the bed is designed attached to the wall cladding as a platform bed with duvet and cushions. There is an large mirror which reflects the beauty of the room and has a table for placing a computer. A painting is mounted on the wall. In the view of the image you can see an outstanding interior of shabby style master bedroom. The room has mirror with attached nightstand and a metal droplet lamps on it. The false ceiling is a dry wall ceiling with plain light fixtures and the bed has a long modern headboard with cushions and coverlet. The flooring is made of laminated mahogany wood with a long fibre saxony carpet. The interior has a leather bench and has plenty of closets made of wood used for storing. The room has casement windows covered with curtain blinds and has leather couch with cushions and has chest of drawers under it. 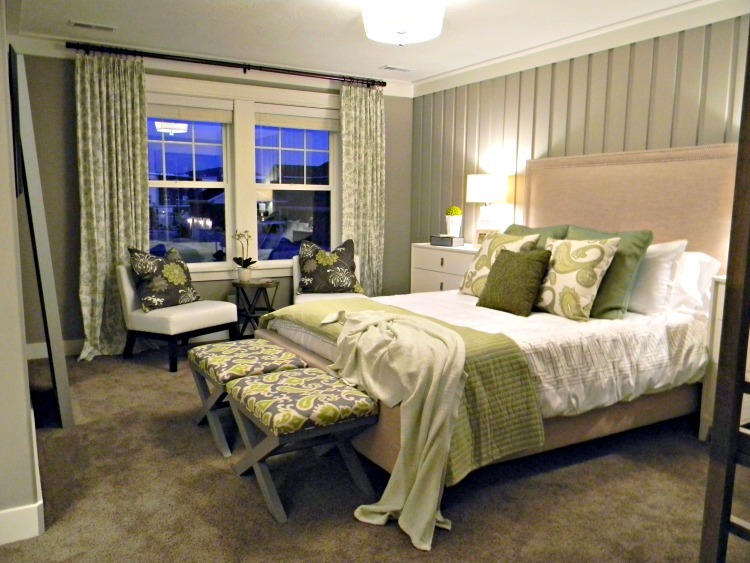 This image views an grey color shabby chic style master bedroom. This sort of room can be preferred if you have small space and the false ceiling is a dry wall ceiling with simple light fixtures. The flooring is made of plain vinyl flooring and has couches for seating with a coffee table for serving. The interior has wooden panelling which is sprucing the entire room and has a night stand with lamp. The interior has casement windows covered with sheer draperies.